The most striking feature of Legacy games is their permanence. Unlike many other tabletop games, the decisions you make in a Legacy game are felt in future games. New objectives are introduced, new components are added, and some are even destroyed. This permanence is the heart of the Legacy format and adds a thrilling new layer to your campaigns. In Pandemic Legacy: Season 1, this permanence takes many forms. Cities slowly descend into chaos as panic spreads, diseases mutate, and new cards come into play. Over the course of your campaign, the characters you play can forge relationships, developing lasting friendships or getting locked in bitter rivalries. Far from being simple story beats, these elements tie back into the gameplay, becoming a part of the fabric of your world. 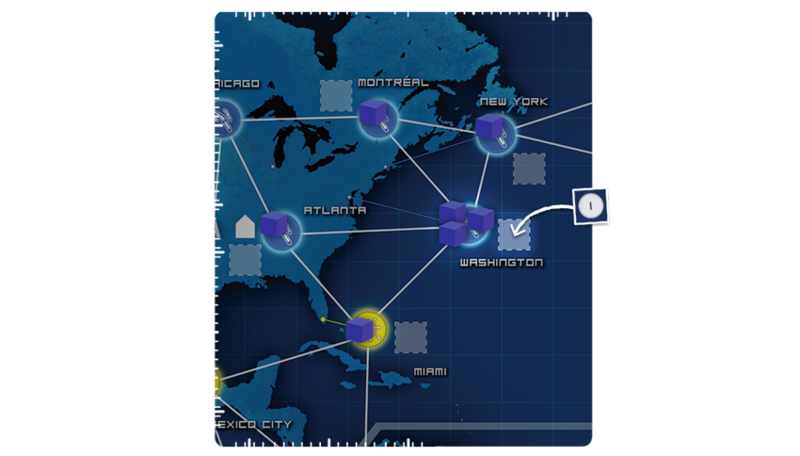 Rising panic levels in cities that witness an outbreak are just one of the ways players permanently modify the board in Pandemic Legacy: Season 1. On a more personal level, Pandemic Legacy: Season 1 includes many elements that give the game an individual feel. Eradicating a disease, for example, allows you to write on your board and give that disease a name. Small touches such as this give each campaign a personal feel and reinforce the idea that each game is its own unique world. 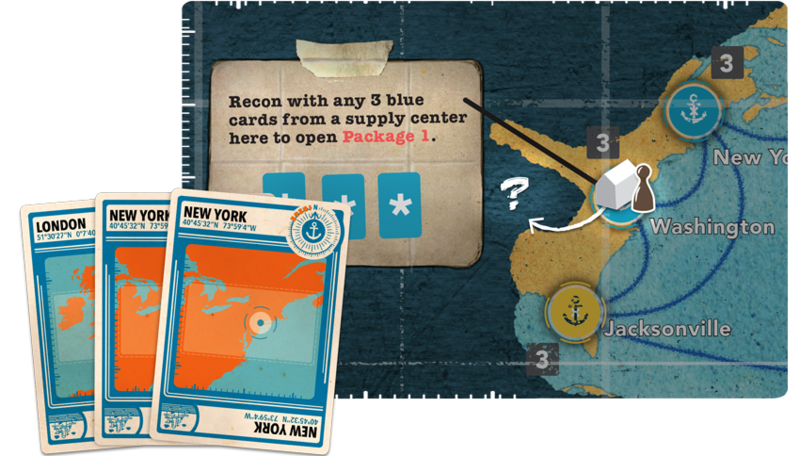 Following in this tradition, you will have many opportunities to leave your mark on the world as Pandemic Legacy: Season 2 plunges you into a world torn apart by a virulent plague. Those who remain in this post-apocalyptic setting cluster in the few remaining cities, barely eking out an existence. In this harsh environment, antibiotics, food, medicine, tools, and other supplies are precious commodities. During the opening months of your campaign, delivering supplies from your home in the havens to the cities that need them most is your main focus. Supplying the mainland slows down the spread of the plague and gives you a valuable foothold for future operations. But with a limited number of supply cubes available at the beginning of a game, you’ll need to create more if there’s going to be enough to go around. The eight Produce Supplies cards offer an intriguing choice between generating a large number of cubes and planning for future games. Using the “Local Production” ability on one of these cards provides a quick influx of cubes in your current haven or supply center while also preserving the card for later use. 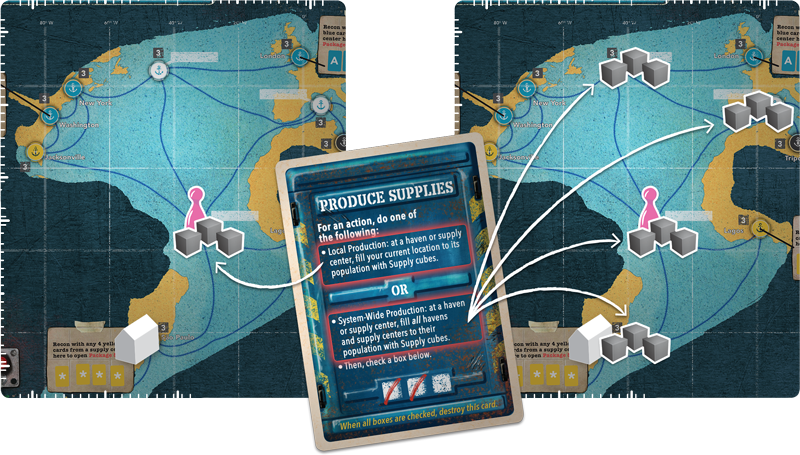 Choosing “System-Wide Production,” however, grants a huge boost when you desperately need supplies, but also forces you to check one of the boxes on the card, pushing it one step closer to being removed from the game. With what awaits you in future months unknown, “System-Wide Production” is a risky proposition indeed. Perhaps no other element of Pandemic Legacy: Season 2 has as visible of an impact on your campaign than these acts of discovery. Only nine cities are on your grid at the beginning of the game, but the tantalizing possibilities of what lies beyond are on full display. Once you have established the appropriate infrastructure in select cities across the map, you can begin to explore some of the lost world by taking the Recon action. Discarding the City cards required to Recon takes you on a journey beyond your known world, allowing you to open some of the sealed packages included with the game. What you find there will dramatically alter your campaign. From new cards and objectives to new components and mechanics to experiment with, each package takes your world in thrilling new directions. 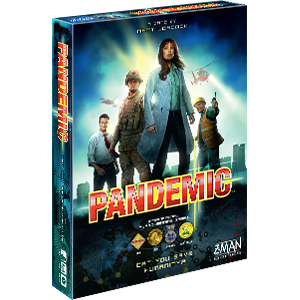 When it was released in 2015, Pandemic Legacy: Season 1 thrilled gamers around the world with its engaging gameplay and thrilling storyline. Players were swept up in a globe-spanning struggle for the survival of humanity where their choices had an immediate and lasting impact on their world. Now, Pandemic Legacy: Season 2 is poised to continue this tradition. Maintaining the taut thrills of the original while striking off in exciting new directions, the game allows you to leave your mark like never before. The world is a shadow of what it once was. What remains of humanity is barely hanging on as the plague continues to devastate the population. But there is still reason for hope. You have the supplies and the team to save humanity. Venture into the unknown with Pandemic Legacy: Season 2, coming soon! 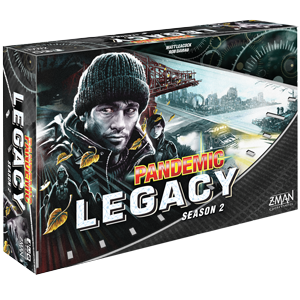 Pandemic Legacy: Season 2 is a standalone game that can be enjoyed without having played Pandemic Legacy: Season 1. Join the havens in their struggle to save the world. 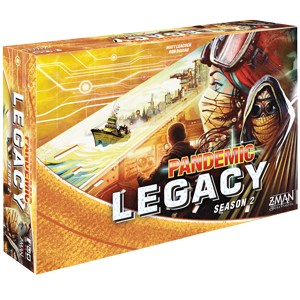 Pandemic Legacy: Season 2 is scheduled to be released soon. Head to your local retailer to pre-order your copy today, or you can place your pre-order through Z-Man Games here. To pre-order the Black Edition, click here. To pre-order the Yellow Edition, click here.